Keeping your pool clean and safe to use is very important. The most common way of doing this is by adding chlorine to the water. While it is very strong and efficient, it has some undesired effects. 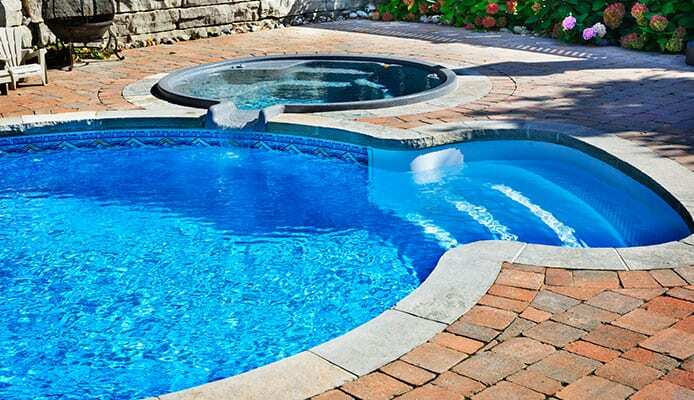 It causes skin and eye irritation, and it can damage the pool system and structures over time. This is why users needed a better solution that still eliminates algae and bacteria, but doesn’t have so many negative sides – a solar pool ionizer. This device greatly reduces the need for chlorine in your pool, making the user experience more pleasant. It’s eco-friendly too since it needs only solar power to work. Many products are available in this category, and finding the best pool ionizer shouldn’t be difficult if you know what you’re looking for. We created a buying guide to help you with this, and also picked out fantastic products to make your choice easier, so be sure to check them out. 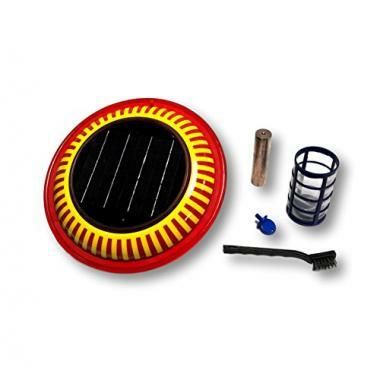 The Sun Shock purifier is a very low-maintenance device. It will cleanse up to 22,000 gallons of water in your pool, helping you get rid of pool algae. A wire brush, debris basket, and copper testing strips are included. This top rated pool ionizer is very popular among pool owners, and for an affordable price, it will reduce the need for chlorine up to 80%. This Solar purifier is an excellent substitute for other algicides we usually use. The copper bar kills microorganisms in a 40,000-gallon pool in a safe and effective way. Besides the device itself and the bar, the package also includes a filter, a cleaning brush, test strips, and a tethering hook. You will also get an instruction manual for easy use, and a 2-year warranty if something goes wrong. Finally, you can order it in blue or white color. The copper ionizer from Sooriyan has an interesting feature – an LED indicator. It lights up when the unit is working so you know everything is ok. This one also works well in shaded and covered pools thanks to the solar panel quality. The anode is 41% larger compared to many other products, so you can count on durability. In addition, it contains silver too. This device works well with up to 45,000 gallons of water while keeping chlorine levels very low and prolonging the lifespan of your pool pump. The biggest upside of this one is that it comes with a replacement anode. This strong ionizer works with up to 50,000 gallons of water. 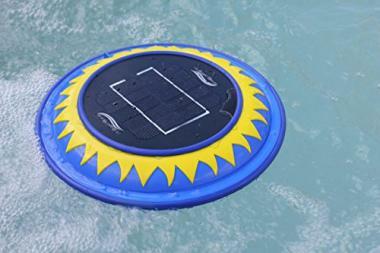 It works well in any type of pool – fresh or saltwater, in-ground or above ground pools. In addition to summer use, it’s effective for winter pool maintenance too. The reason for this is the durable and strong device shell. The package also includes a wire brush, filter basket, and copper test strips. Finally, you get a 30-day money-back guarantee if you don’t like the product. If you’re looking for efficiency, check this one out. This ionizer from Sunshine Solar will easily treat up to 35,000 gallons of water, and leave you with a clean and crystal-clear pool. 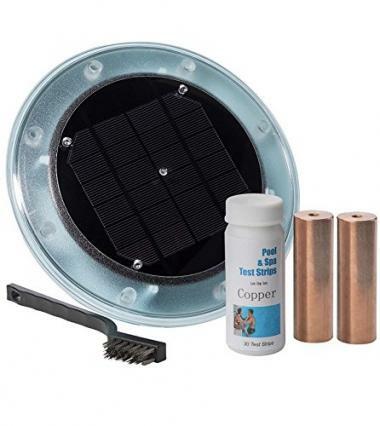 Like all the best pool ionizers, it comes with with a durable copper rod, a cleaning brush and a filter basket to catch all the debris that falls off. It’s very efficient, and also very easy to clean. Finally, the price is a big plus too, considering the top quality of this product. 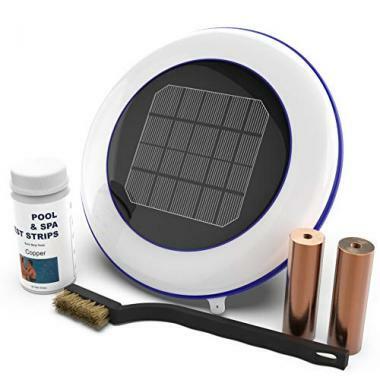 This solar ionizer for swimming pools comes with a large copper rod that will purify up to 32,000 gallons of water. It minimizes scaling in your pool and reduces chlorine needs by up to 80%. It works really well out of the box, and you get great customer service. Finally, it looks better than other ionizers. Lumiere Technologies created this device to help you maintain and clean your pool easily. It’s very strong, able to purify up to 50,000 gallons of water. It works well with any type of pool and kills algae quickly. This swimming pool ionizer will come with a cleaning brush and 30 copper test strips. Many happy customers attest to the quality, so you should give this one a try. If you want to get the most efficient ionizer, you need to pay attention to a few details before buying. You need to think about the amount of water that needs to be cleaned and choose a well-designed product that is able to achieve that. In addition to cleaning the water, ionizers make pool maintenance a lot more cost-effective. Take a look. The capacity of your pool is one of the things that you need to think about when buying an ionizer. Some products featured in our solar pool ionizer reviews are recommended for up to 15,000 gallons of water, while others easily work with up to 50,000 gallons. Because of this, knowing the amount of water that needs to be treated is perhaps crucial. In addition, you should be aware that it takes time for copper concentration to build up inside the pool, so it won’t work instantly. In relation to this, it’s not a problem if you get a stronger ionizer for your small pool, just make sure to keep the level under 0.5ppm. Manufacturers often provide copper test kits as a bonus, and if the level goes over the limit you should remove the ionizer until it drops again. Higher levels can cause stains and discoloration in your pool. On the other hand, if you have a very large pool, nothing is stopping you from getting two ionizers to work at the same time. This is the most important part of your solar powered pool ionizer. It’s largely made of copper (sometimes with additions of silver and zinc), and it releases the ions that kill algae. Not all bars are the same in terms of size, which determines their lifespan. While most will last for a year or two, you should be informed about this when buying. Some manufacturers include replacement copper bars in the package, which is a nice touch. It’s very useful if your package comes with a copper tester, wire brush, and an instruction manual, so you can easily use the device. Swimming pool ionization systems are much simpler to use than chlorine because you don’t have to constantly check levels. The copper bar is screwed in inside the coil with the basket (filter) going around it, and then everything is tightened with a wingnut. The basket collects anything that falls off from the anode, so it doesn’t end up in the water. Some manufacturers provide a replacement basket which is a plus. We mentioned the brush, since getting it with the ionizer makes things easier. The bar becomes covered in a layer of calcium and iron over time and loses its efficiency. An upside of this is that it makes the water softer, and reduces scaling in the pool. Scrubbing the anode removes this layer and allows it to work again. Luckily, most manufacturers include a brush with the purchase. 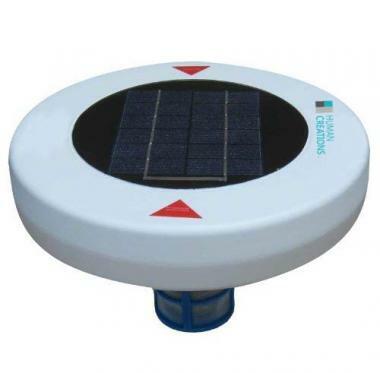 Solar pool ionizers are simple devices that are generally very durable. Warranty is a big plus since it gives you peace of mind. 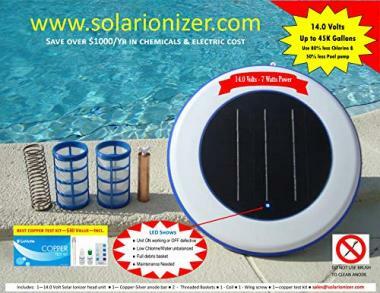 It depends on the product, but you will usually get a year or even 2+ years for the best solar pool ionizers. Take a look at what others had to say about the product, so you know what to expect. Other swimming pool maintenance tips can also be useful and make equipment more durable. Q: Why Use a Solar Pool Ionizer? A: It’s a great way to sanitize your pool. It’s inexpensive, kills algae and bacteria and doesn’t irritate skin or eyes. Unlike chlorine, it’s not toxic and doesn’t have the chemical smell. In addition, it doesn’t mess with the pH of your pool either. A solar ionizer for pool is an easy-to-use device that reduces your need for chlorine up to 90% and saves you lots of money along the way. Q: How Does a Solar Ionizer Work? A: A pool ionization system collects sunlight through its solar panel, and then converts it to low-voltage electricity. This electricity energizes and dissolves the anode, and the copper ions are released into the water. They are a very strong natural algicide and bactericide, but completely safe for humans and animals. Trace amounts of copper will remain in the pool water for a long time, so this is a great longterm solution. Since it uses solar energy, this means it’s an eco-friendly product with no batteries involved. If you’re interested in other green products for your pool, be sure to check our articles about solar pool heaters and solar pool covers. Q: What Other Accessories Do I Need? A: Even though the bars are very efficient, they can’t completely work on their own. Copper kills algae and silver kills bacteria, but the ionizer for pool isn’t capable of oxidation. This is why ionizers need to be combined with small amounts of chemical sanitizers – chlorine and bromine. It helps to shock the pool with chemicals, usually once a week. Ionizers allow you to lower the chlorine to 10-15% of the previous amount, which is amazing. Of course, you need to think about pool chemistry too. Make sure to get a pool test kit and check the water status from time to time. Buying a solar pool ionizer has many advantages. It allows you to keep the water crystal clear, while greatly reducing the need for chemicals. All this creates a better pool experience for you and your family. As we discussed, an added bonus is saving you a lot of money in the long run, because we all know how expensive pool chemicals are. This is a one-time expense for a product that will work for a very long time. You should definitely give it a try, we’re sure you’ll love it! 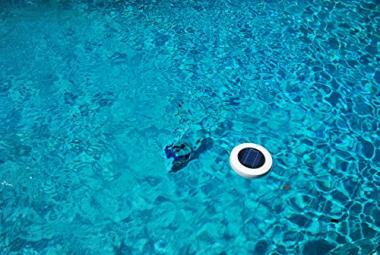 Have you tried a solar pool ionizer that made it onto our list? Was it efficient for your pool size? How are you satisfied with the quality? Please share your experience with us in the comment section below.